Matzah: Bread of Affliction or Tool for Introspection? Bread of Affliction or Tool for Introspection? Most of the year I’m an à la carte spiritual being, but there are some holidays that return me to the Jewish “camp”. Passover is one of them. For some Jews, after the Seder ends, Passover becomes a week of dietary torture. Wheat and four other grains are prohibited, making meal preparation challenging if not a headache (kudos to anyone cooking for a family). And for those who rely on matzah to fill their bellies, they might discover after day #3 that it’s lodged in their intestines and won’t easily come out. Hence the affliction. Growing up, I often resented Passover, especially when my classmates were delighting in colorfully wrapped Easter candy that, for me, was verboten. But I also didn’t understand why religious Jews had developed kosher for Passover brownie and cake mixes; just add eggs, oil and bake…often for 30 minutes or more. Wasn’t the point of the holiday, which commemorates the Jews’ exodus from Egypt, not to eat foods that required oven time so as to better imagine what our fleeing ancestors experienced? 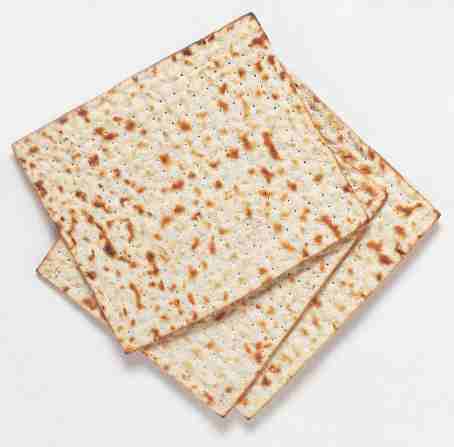 Matzah, for example, must be prepared (mixed and baked) within 18 minutes. Is it a hardship to avoid cake-like things for a week? Apparently certain rabbis, focusing on the letter but perhaps not the spirit of Jewish law, thought it was a privation. And so now we have all kinds of goodies, made with potato starch and other flour substitutes, that in some cases are barely distinguishable from those made with typical ingredients. Impressive culinary feats? Absolutely! Progress? I’m not so sure. Passover, with all of its rules, is fundamentally about freedom, if not from Egyptian taskmasters then from whatever enslaves us. Some might say, therefore, they are free to eat Passover brownies, but I see the constraints as an opportunity to practice liberating myself from some subtle yet unproductive habits. On the first day of the holiday, I stopped into Whole Foods to buy ingredients for a dish I was preparing for a Seder, and the store was sampling buns and scones. It occurred to me as I refrained, that usually I try whatever they are offering, even when my belly is full. Days later, I noticed myself opening the fridge and the cabinets, looking for a snack. I wasn’t hungry, just restless. Since there was nothing else (like a cookie) for me to eat, I had to find other ways to soothe my edginess. Was that, pardon the pun, a “piece of cake”? No. But Passover restrictions are small potatoes compared to what life might throw at us unexpectedly, situations that demand us to find freedom amidst difficulty (e.g., if I suddenly developed a chocolate allergy or, heaven forbid, something more serious, I hope I’d be more accepting than kvetchy). In the decades I’ve observed Passover, I’ve noticed that around the midway point my cravings, frustration and resentment start to mount. Muffins and cupcakes call to me like sirens. Matzah has the appeal of cardboard. I’m often tempted to sneak a doughnut and break Passover early. Since I live alone, who would know? I would. Why not grab some kosher for Passover cake mix? Because I want to prove to myself that, at least during this one week, I can learn to not overindulge my cravings, especially for sweets. If I’m truly hungry, a banana or apple will suffice. Frequently, after Passover ends, I’ve noticed that the reward for my restraint is a bit more self-mastery and a sense of physical lightness. Perhaps that is what true freedom feels like. Thank you, Ma’am! I’ve posted about it.